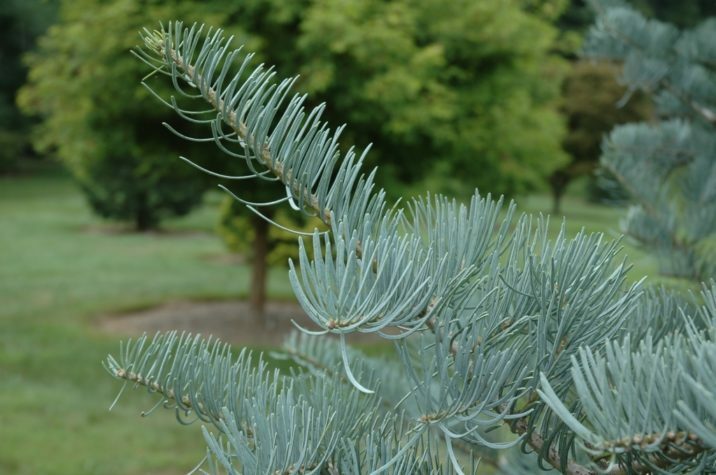 Abies concolor 'Candicans Pygmy' is a dwarf version of 'Candicans,' with similar bright-Blue foliage and pyramidal plant structure. The only significant difference between it and its better-known namesake is that 'Candicans Pygmy' grows at only one quarter the rate of 'Candicans.' A mature plant will only measure 3 feet (1 m) tall and two-thirds as wide after 10 years in the garden, a rate of growth of only 2.5 to 3 inches (6 - 7.5 cm) per year, making it a perfect choice for those who lack the space for the larger cultivar. 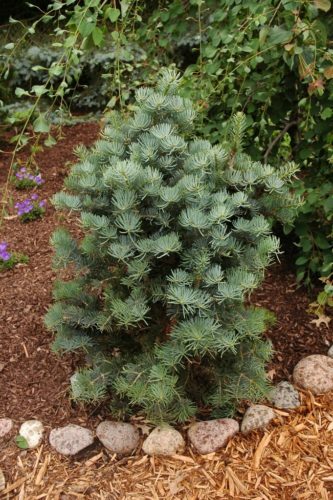 Abies concolor 'Candicans Pygmy' — a mature specimen. Abies concolor 'Candicans Pygmy' — a closeup of foliage detail.